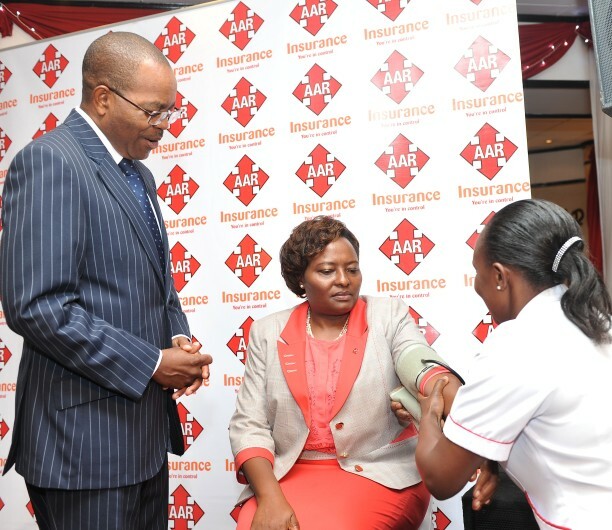 Kenyans will now enjoy financial benefits by taking good care of their health, thanks to a new medical insurance product launched today by AAR Insurance. The product dubbed AAR Proactiv will see policyholders receive over 50 percent of total premium paid after three years if they do not utilize the entire cover. This is the first product of its kind in the East African market. AAR Insurance Managing Director Caroline Munene says the company is seeking to encourage Kenyans to take control of their health as a critical step in reducing the financial burden attributable to increased cases of non-communicable diseases (NCDs). “In light of the recent alarming rise of non-communicable diseases in the country and in Africa where the NCDs are attributed to nutritional habits and lifestyle changes, AAR Insurance appreciates that with lifestyle change, we can avert some of these trends with the overall objective of nurturing a healthier nation,” said Munene. Rising incidences of NCDs have seen a surge in medical claims in the recent past. According to data by the Association of Kenya Insurers (AKI), insurance companies paid a total of Sh20 billion to settle medical claims in 2014. AAR Insurance paid over Sh2 billion in such outpatient claims last year. Medical claims linked to NCDs are expected to rise in coming years unless decisive action is taken to encourage Kenyans to proactively manage their health. Munene added that AAR Proactiv is designed to reward clients in cash for staying healthy and taking charge of their health by embracing all parameters of wellness. “AAR Proactive seeks to empower our clients to cost-effectively manage their outpatient spends with a cash back reward in the event they do not utilize their outpatient limit after the period of three years,” she explained. NCDs are also responsible for reducing productivity, curtailing economic growth, and aggravating poverty. The main risk factors for NCDs in Kenya are exposure to tobacco use, physical inactivity, unhealthy diet and excess consumption of alcohol. AAR Insurance plans to roll out a wellness campaign that will include checkups and nutritional talks. Wellness is an active process of making deliberate choices towards a healthy and fulfilling life. The parameters of wellness include physical,occupational, intellectual, social, emotional and spiritual health. AAR clients will be encouraged to eat better, exercise more and avoid sedentary lifestyle, largely blamed for increased NCD burden. The firm will also partner with fitness centers such as gyms which AAR clients can access at attractive rates to encourage them to exercise regularly.